Medi-Products now offers, a battery backup solution to meet the requirements of a Medicare Approved Ambulatory Surgery Center which comprises of a NFPA Type 1 Essential Electrical System. Why is this better than a generator? landlords not allowing it on their property, not enough space too costly to accommodate within a high-rise inner-city apartment building, or a suburban area that has a noise ordnance. Also significant problems are fuel storage regulations, frequent and costly system testing and maintenance, and costly ancillary controls and switch-gear. This Type 1 Battery Backup System incorporates the multiple transfer switches that are required for the 3 essential electrical system branches and integrates stores an interconnected Battery Bank which allows each branch circuit access to the systems entire capacity. The Medi-Products Silent Sentry Multi System is a breakthrough in its design and capabilities. This Medi-Products Silent Sentry with synchronization system accommodates these power branches and also houses Failsafe Relays for the Critical and Life Safety Circuit Panels for system redundancy. 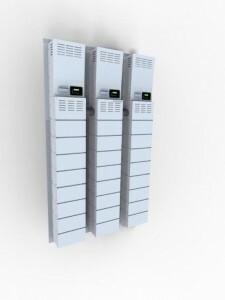 These Systems can be stacked and range in output from 9KVA to 17.6KVA. In order to size the system that will be needed we suggest you contact us and have us send you an Equipment Matrix Form for your Electrical Engineer to fill out. On this form you will need to list out all equipment that requires emergency power, along with adequate runtimes for each item. This information will help us design and for you or help determine whether our product will be adequate for your needs. It is to be understood our products are intended for Ambulatory Surgical Procedures for patients under direct physician care and low-risk procedures. Our products are not to be intended for powering life supporting equipment on a continuous basis (as in intensive care unit in a hospital) cardiac, or critical surgery that would normally be performed within a hospital. Our system is intended to support an anesthesia system and whatever equipment necessary to allow the practicing physician enough time to terminate simple procedures and get his/her patient into safety in the event of a power failure. Get a Free Power Evaluation Now!